Animal Collective is a musical group which formed in Baltimore, Maryland, United States in 1999. The band consists of Panda Bear (Noah Lennox), Avey Tare (David Portner), Deakin (Josh Dibb) and Geologist (Brian Weitz). Records released under the name Animal Collective may include contributions from any or all of these members; the lineup is not uniform. The band has released nine albums: "Spirit They're Gone, Spirit They've Vanished" (2000), "Danse Manatee" (2001), "Campfire Songs" (2003), "Here Comes the Indian" (2003), "Sung Tongs" (2004), "Feels" (2005), "Strawberry Jam" (2007), "Merriweather Post Pavilion" (2009) and "Centipede Hz" (2012). Prior to "Here Comes the Indian", the group's albums were not credited to the band name "Animal Collective" but instead to "Avey Tare & Panda Bear" (for "Spirit"), "Avey Tare, Panda Bear & Geologist" (for "Danse") and "Campfire Songs" (for "Campfire Songs"). The band members met in school and started recording together in various forms of collaboration from a young age. 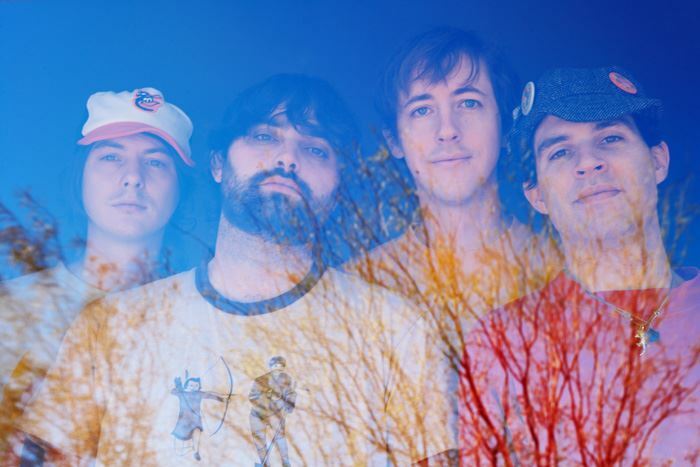 Although the band is often classified as psych folk or noise rock, it is hard to define the Animal Collective sound as they often experiment with diverse styles and ideas from album to album. The group also runs the record label Paw Tracks on which they have released their own material as well as material by artists such as Ariel Pink, Terrestrial Tones, and The Peppermints. Paw Tracks' latest signee is Tickley Feather, with whom the band recently toured.